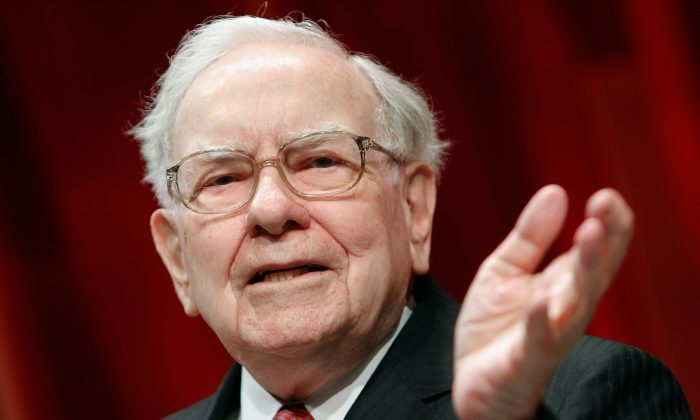 Berkshire Hathaway CEO Warren Buffett is considering whether to join a bid to acquire Yahoo, he told CNBC on May 16. Buffett, known as the “Oracle of Omaha,” said he would only act as a potential financing partner for Quicken Loans billionaire founder Dan Gilbert’s bid. It would be a rare move for Buffett, who usually stays away from investing in tech companies. “I’m an enormous admirer of Dan and what he has accomplished in Quicken Loans‎. Yahoo is not the type of thing I’d ever be an equity partner in. I don’t know the business and wouldn’t know how to evaluate it, but if Dan needed financing, with proper terms and protections, we would be a possible financing help,” Buffett told CNBC. Meanwhile, Berkshire Hathaway bought 9.8 million shares of Apple. Apple has been struggling after Carl Icahn, one of the company’s biggest supporters, sold his entire stake, two days after Apple’s worst quarterly earnings report since 2003. But the company has already seen an improvement after the move by Berkshire Hathaway. Apple’s shares, which were down 15 percent over the past month, went up by 3 percent on the day Berkshire revealed its investment. Berkshire revealed the investment in a filing with the Securities and Exchange Commission detailing a number of changes to its $129 billion portfolio. However, the filing did not show who made the investment. Buffett confirmed in an email to the Wall Street Journal that he did not make the move. Berkshire Hathaway has two other investment managers.